When passion makes money, that is the most fortunate thing that could happen to any human being on the earth. There are so many creative jobs around the world, which are always on demand among the people. One such creative job is tattoo artist. Being a tattoo artist involves lot of creativity, artistic sense of picturing a image on your mind to a pen. This could be surely a most satisfying job for people who do not want a desk job as well want to earn money through their passion. Tattooing has become very popular all over the world as it denotes a freedom of expression by art. This is not something new to our culture. It is a age old tradition of embedding or drawing tattoo images on your skin with permanent ink or even temporary. When looking at it from career perspective, there is lot of scope as the world has accepted this form of expressing thoughts and the pay for this art is also good. 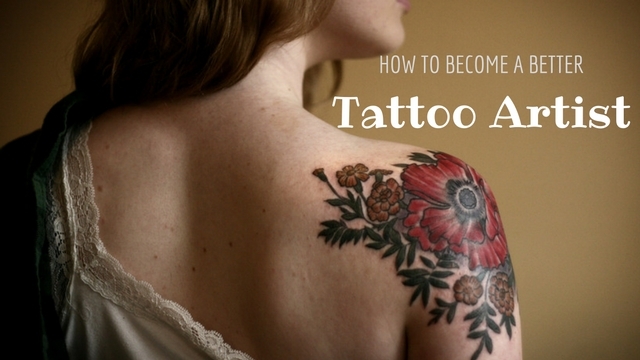 Read this post to know how to become a tattoo artist. Who is a Tattoo Artist? Tattoo artists are artists basically who design and portray a image on a human body with ink. For doing this art, they use specialized and sterilized needles to apply tattoo on the body. This is not only about just tattoo drawing or designing an image, it is a creative art which needs lot of expertise as it is directly embedded on a human skin. There are many popular best tattoo artists around the corners of the world who do it as a full time job and also some of them do it as a weekend job. This job of tattoo artists have a better pay scale depending upon the size of the tattoo as well as the intricate artistic design involved in it. Before moving ahead on becoming a tattoo artist, there are few things which an individual have to develop from inside personally. That is persistence and humility. You need to be patient as well as dedicated as it involves lot of risks on skin. Tattoo Artist Career: What You Should Know? The very first step should be preparing a complete portfolio of yours describing your artistic thoughts, best tattoo designs as well as you can also add your high quality digital photographs of your designs using doodles. Try to know the art of tattooing better either by books, internet, or any videos before you approach for a certified course. Try to practice maximum on paper, learn the various art skills like shading, density of the ink to be used as well as proportion by yourself to have at least an tattoo ideas. Choose a tattoo apprenticeship or a certified program. Tattooing art does not happen in a night. No one is perfect until you have given your best on a flesh. Remember it is very sensitive art form, and it cannot be done as a hobby without practicing on flesh. The best and correct method is to do a certified course or an apprenticeship. Try doing an apprenticeships from local shops where you will be given jobs without paid. Do it full time or part time by practicing simple designs. There is no another best than doing a certified course on the art of tattooing. There are many professional courses on tattooing for at least minimum of 3 years where you will also be given a apprenticeship along the duration of the course. Generally most of the certified courses includes teaching how to use a tattoo machine, how to handle needles and also emergency techniques. Irrespective of the course learning, it is always advisable to have a on hand tattoo training before you do it professionally. Once you have done enough training, the best way is to join a leading tattoo team in the city or just join as a part time job to gain some experience. There are so many part time options available initially to master the art. In the beginning of this career it is not completely assured that would be payed enough. Learning process as well as earning takes time. Most of the well known artists initially had a struggle period of at least 2 years, before they started earning. You can also own a shop with little investment and start doing it as a small business. Once after gaining enough experience you can open branches around the city. Always even today, the most experienced artists keeps the learning process on the go. Never quit learning the skill or feel satisfied with your work. Crave for more creativity and outshine others. Apart from the skill sets or certified course completion, another most expected from a tattoo maker or artist is to hold a proper valid license. There is a full proper guidance classes taken before becoming a license holder in tattooing. That is before owning a tattoo license, you would be thought about the disease prevention techniques and skin related awareness programs. Also, there would be many seminars conducted about blood borne pathogen prevention etc. There is also a procedure were realistic tattoo artists have to undergo a written test and skill analysis before holding a license. So, do know about the license procedure and gain it one before doing it professionally. When it comes to creative business like tattooing, customers are truly the king. There are very popular lines said among the famous tattoo artists. To become a successful tattoo artist one must be 50% skilled, and 50% customer friendly. With the work created using needles on the skin, any one would prefer a tattoo artist who is very friendly and concerned about the work. Other than that, there are many new tattoo shops popping up but still the maximum number of clients goes to someone who is very understanding and skilled. Never compromise on customers for money. Especially, in the business of tattooing, there are many chances where you would work with a customer for a prolonged period of time and you will gain good reputation only if your are in with good bonding with your customers. With more amount of discomfort pain, handling customers should always be a priority than money. 1. Do not promise what you cannot do any day. It will ruin your image completely. 2. Handle your customers according to their mood. With little amount of discomfort it is natural they get scared or become grumpy. Handle them with smile and make them relax. 3. There might be so many popular tattoo artists in your place. But remember the more you are clean, the more you gain customers. Never compromise on cleanliness. 4. Use all possible modes of marketing like video blogging or any kind of display of your work. Your work appreciation and profit depends mainly on your display of your talent. Like other industries, tattoo industry too have times where you get many jobs in a period, and the business might be slow some days. It is very essential that before planning this as your career, you need to plan your financial stability, and then proceed. One final note, becoming a successful tattoo artist depends upon how much you put into your job. There might be lot many hurdles and the road might not seem very smooth, but still with perseverance you can become a very famous tattoo artist. Hope this post throws some light on how to become a tattoo artist.